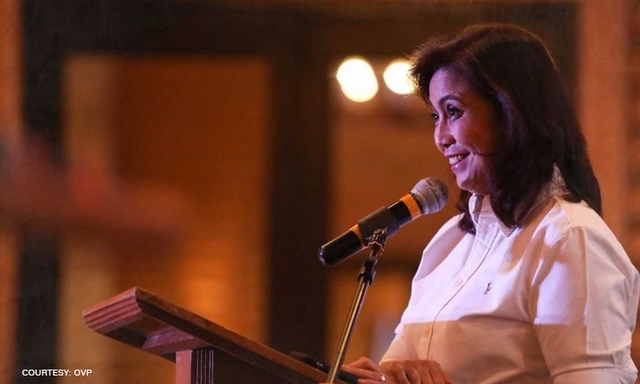 Vice President Leni Robredo, in a media briefing on Tuesday said she is WILLING to unite and LEAD the prospective opposition coalition against the Duterte administration hoping that the united opposition slate shall be established by September this year, a month before filing of Certificates of Candidacy. “At iyon iyong role na gusto kong i-take—na siguraduhin na iyong mga boses na nagkakaisa ay lalong mapag-isa para lalong mapakinggan, siguraduhin na iyong mensaheng gustong ipaabot mas maintindihan, at hikayatin iyong iba din iyong paniniwala na makiisa.” Robredo added. 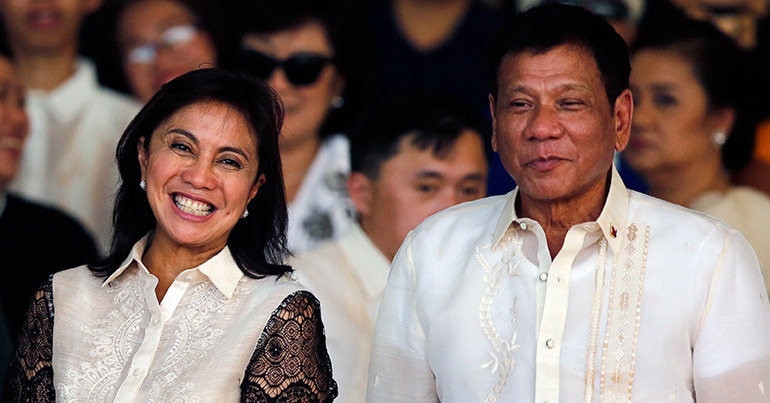 Robredo has since been critical of President Rodrigo Duterte’s policies and pronouncements including the recent proposed shift to Federalism which she sighted as something that ‘should not be rushed’ which may overlook other pressing issues including rising prices of commodities and the recent series of barbarity. With former accomplishment as an opposition leader, Robredo maintained that it is her ‘duty’ to UNITE the different voices of the opposition coalition. “Obligasyon nating lahat na sumalungat kung kailangang sumalungat. Pero it is becoming apparent na mas malakas iyong loob ng iba na magboses kapag mayroong sinasandalan na grupo, mayroong sinasandalan na grupo na pareho iyong paniniwala sa kaniya. 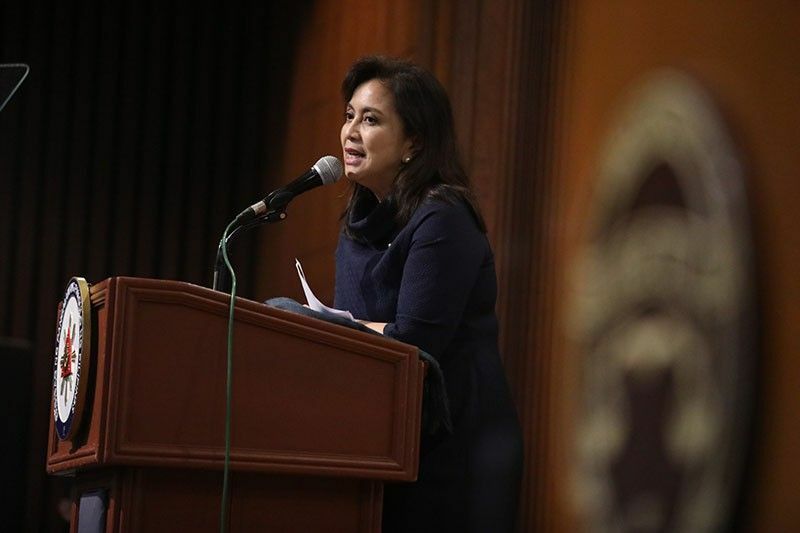 At iyon iyong role ko: ap ag-isahin iyong mga boses na iyon,” Robredo added. Meanwhile, President Rodrigo Duterte, when sought for comment about her VP’s opposition alliance move, told the media that his very inclination to step down as President is not intended for Robredo to solely supersede but ‘to let the people choose whoever they want’. “I would like the Filipino to choose a new leader, especially if it is a new structure and I have been an official of the structure of type of government which, since time immemorial, (is) unitary,” the President said in a media interview at the ASEAN Convention Center in Clark, Freeport Zone, Pampanga after the National MSME Summit 2018. Citing that Robredo herself is NOT GOOD ENOUGH to govern a country like the Philippines, President Duterte related her leadership to somewhat as INCOMPETENT. Media: Kanina po si Vice President Robredo, nagsalita na siya na willing na daw siyang pamunuan and i - unite yung Prospective Opposition Coalition. So ano po ang reaction niyo doon? President Duterte: Kung siya ma - Presidente? Look I will not resign because uh, it will make uh.. her President. My resignation as I address to the people, na para makapili sila ng gusto nila. Siya, I don't think she can ever be ready to govern a country. Reason: INCOMPETENCE. Media: Sir, can you elaborate lang po dun sa idea na INCOMPETENCE? President Duterte: I mean, she's not capable of running a country like this, Philippines?